James C. Griffin II, D.O. Dr. Griffin was born in Somerset, Ky. He graduated from the University of Kentucky and the University of Health Sciences in Kansas City, Mo. Dr. Griffin completed his internship and residency at the University of Tennessee, Knoxville. 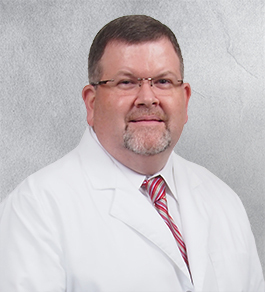 He is Board Certified in internal medicine and he joined Summit Medical Group in 2000 as a Statcare hospitalist. He then began an outpatient practice at Internal Medicine Associates in 2006. Dr. Griffin lives in Knoxville with his wife and two children. To request an appointment with James C. Griffin II, D.O., call 865-546-9751 and press 3. Specifically request an appointment with James C. Griffin II, D.O., with the appointment manager.